A SEARCH for greener pastures for property development has led one of the pioneering developers of the famous Singapore shoebox apartments to its first mixed development project here in Kuala Lumpur's city centre. 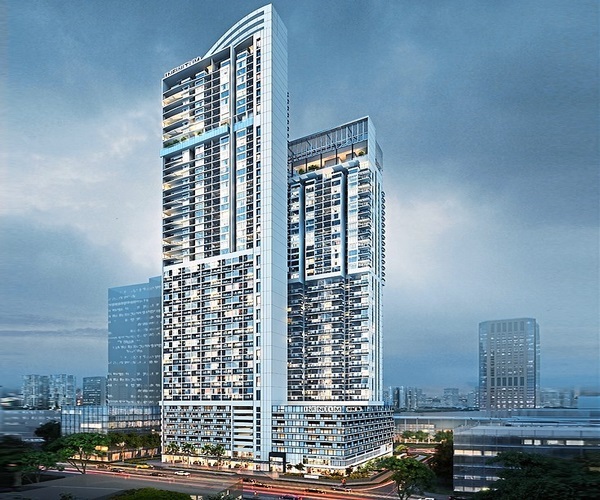 The project, named Wisma Infinitum, is made of 723 residential units as well as 31 retail units and will be developed by Macly Equity Sdn Bhd, a joint venture between Macly Group and Roxy-Pacific Holdings Ltd, both Singaporean property developers. Infinitum is situated right in the middle of town, directly behind Quill City Mall and fronting Jalan Dewan Sultan Sulaiman. This close proximity to a mall means access to plenty of shopping, F&B as well as entertainment for the future residents who with a little more walking can access the Medan Tuanku monorail station and still further on, the Dang Wangi LRT station. The project also borders Kampung Baru and sits on freehold land with a plot ratio of 9.72. 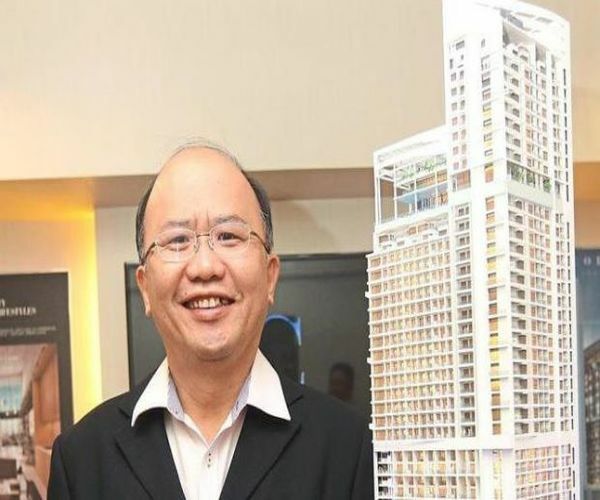 Macly Group managing director Herman Chang said that shoebox units has been particularly well received on the island nation where land is scarce and property prices are high. 'I suppose its most appealing aspect to buyers is its affordability. A good size unit for one or two persons is about 350 to 370 sq ft. If you were to take a family home for instance, which is maybe between 1,000sq ft and 1,200sq ft and divide it among family members you will find the amount of space taken up by one person is roughly the same equivalent as the size of a shoebox unit,' he said. Also known as Mickey Mouse units, industry players have been defining any apartment under 500sq ft as a shoebox unit. Chang, who said that the trend started around 2003, also said that the small sizes meant that more than double the number of units can be built on a plot of land compared to a typical apartment. 'This eventually led to a number of problems including stress on local transport infrastructure due to the increased population in a single area. Singapore's Urban Redevelopment Authority has since imposed a new policy that requires an average gross floor area to prevent too many shoebox apartments from being built,' he said. Back to Infinitum, which is being branded as The Colony to exude an urban feel, Chang said that Kuala Lumpur City Hall already has the necessary regulations in place to prevent the same from happening here including a minimum floor area for residential units. 'The minimum is more than 600sq ft. So that's what we have adhered to and there is a range of sizes with the largest over 1,000sq ft,' he said. He also said that the dual-key units come in a range of layouts from simple rectangular ones divided down the centre to two-storey maisonettes or lofts. 'We see our property being particularly attractive to international businessmen or those looking for a simple small office/home office. Young people whose parents are looking to get them a convenient place to live in while they work in the city will also find our project attractive,' Chang said. The Colony @ Infinitum will feature various common facilities including the 36th floor gym and indoor dining as well as a swimming pool, business lounge, sauna, KTV room, barbecue area and a children's playground. 'Most of the facilities will be included in Phase 1 of construction. The highlight of the lot is the gym because it is quite large and has a great view of the Petronas Twin Towers,' Chang said. The units come with built-in kitchen cabinets with hob and hood, sink and tap while the pantry, on the side of the unit aimed at possible rental or office use comes with the cabinet, sink and tap. The bathroom will come with the shower head, water closet and wash basin and other additional throw ins are water heater and split air-conditioning while each unit is expected to get a minimum of one parking lot. There will be two residential blocks divided into two construction phases with the 33-storey A block under Phase 1 and the 43-storey B block as well as commercial units under Phase 2. The shorter block A has a total of 423 units with unit built-ups between 705sq ft to 1,155sq ft while block B houses the remaining 300 units with built-ups between 675sq ft to 1,575sq ft.
Prices for Phase 1 starts from RM1,380 per sq ft and a maintenance fee of 40 sens per sq ft.
Chang said that The Colony @ Infinitum is set for a soft launch sometime in September this year. 'As for our future projects, we do have a few plots of land here and there. Perhaps the next one we will be doing a shoplot project on a 2.4ha land in Balakong,' he said, adding that Wisma Infinitum has a gross development value of RM800mil. The sales gallery and show unit for this project is being constructer along Jalan Raja Abdullah, off Jalan Sultan Ismail and is expected to be ready by the second quarter of next year.